A new report [Google Translate] from French site iGen.fr claims Apple may begin selling both of its iPhone 6 models at the same time. According to the report, which is based on the same source who accurately predicted previous Apple product launches, the two models would go on sale starting Friday, September 19. That has been the most widely expected date for the first wave of launches given Apple's previous announcement and launch patterns. Perhaps in line with a lack of significant leaks of parts for the larger model, a separate source indicates that the 4.7-inch model is likely to be available in higher quantities than the 5.5-inch model. MacRumors has heard similar news from a reliable source, who has indicated that two different iPhone models are incoming with the larger model shipping at only half the rates of the smaller one. Reports of a simultaneous launch for both iPhone 6 models contradicts some earlier reports, including a recent research note from KGI Securities analyst Ming-Chi Kuo, who believes Apple will stagger the launch of the two iPhone models. According to Kuo, Apple will begin selling the 4.7-inch in September and the 5.5-inch before the end of the year. This staggered launch is attributed to production issues with the 5.5-inch model. Apple is expected to announce the iPhone 6 tomorrow at a press event being held at the Flint Center in Cupertino. Besides a larger display, the new iPhone may include a faster A8 processor, up to 128 GB of storage, an updated Touch ID and an improved camera module with image stabilization and a round True Tone flash. I can't wait. I'm getting the 5.5 inch iPhone. Longest thing that I'll have in my pants. If it really is Sept 19th, those early line waiters are going to smell _fantastic_ by the time they get their phone. 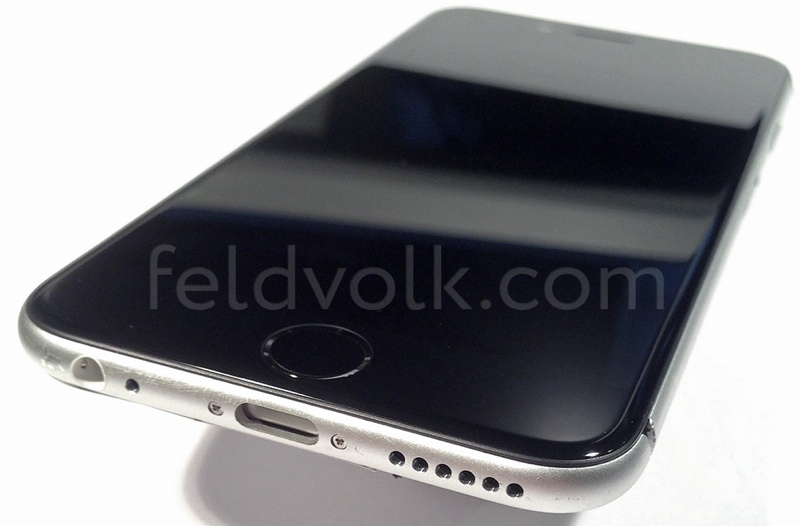 It looks like the iPhone 6 will be my first iPhone (regardless of size). It's time to ditch Android (although there are a lot of positive things about Android and Android-running phones). Hopefully pre orders this Friday too.